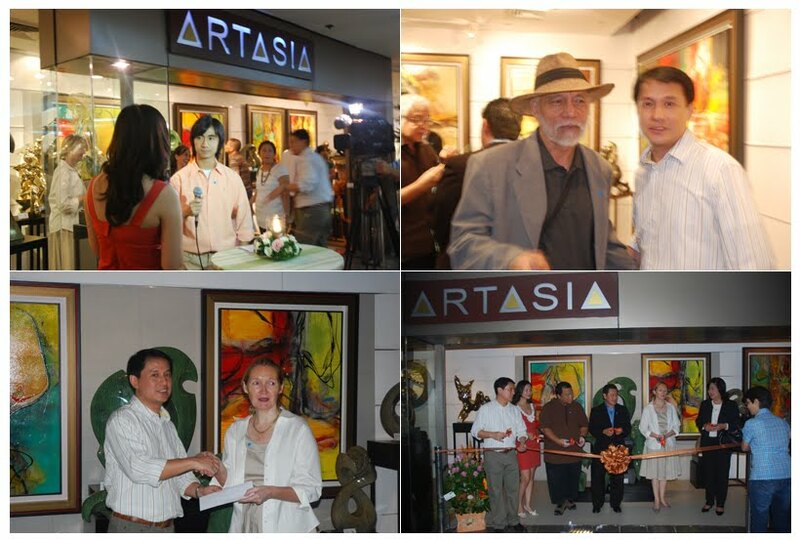 Over the past years, I've learned about the many aspects of sculpture from my dad; Seb Chua. From developing a personal style to creating works based on inspiration and story, he's been my artistic mentor for over 3 years now. We both focus on the mood face of abstraction in a changing world and purposely create expressive depictions using our own personal mannerisms. For this bit, I want to talk about a few projects that my dad was able to head a year ago in collaboration with UNICEF Philippines. My dad partnered with the organization, to manifest concrete social benefits for Filipino Children through his passion; the art of sculpture. 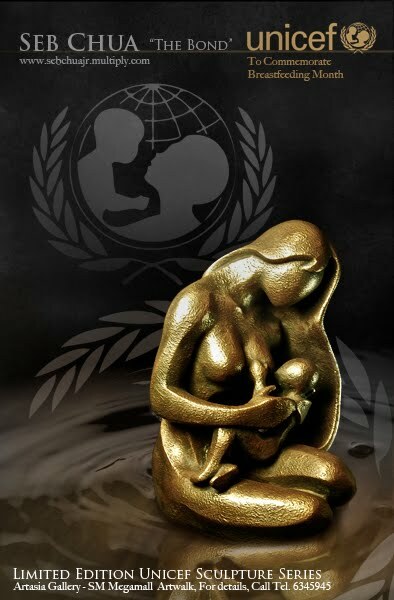 To make this dream real, he created "A Mother's Love"; a sculpture of a breastfeeding mother and her infant son, to commemorate the parental bond between two human beings. One relationship whose love is unsurpassable in society. Over 25 pieces were sold out during the first few months of the project, and a great percentage of every artwork's revenue went directly to the organization's funds. The purpose of social benefit or social change is a novel concept for the Filipino art community, but through this project, I realized that one can use any human passion for something greater than his own benefit. To this day, my dad still teaches me about the many facets of art that can be utilized for promoting life and welfare. Recently, he launched the unveiling of the second UNICEF sculpture, "The Bond" also of a similar subject and theme. I was able to have the honor of hosting the event at Artasia, introducing this new piece for the benefit of the nation's children fund and UNICEF's efforts for child welfare. The night was a great success and it led me to believe that art can really make a difference in society. For the future, I hope that more and more Filipino artists will also use their mastery to help make a better community and promote social change.